Hi from SoCal, where I am at Code Conference. Be sure to check out the Axios tech stream throughout the day for coverage, as well as more in tomorrow's Login. 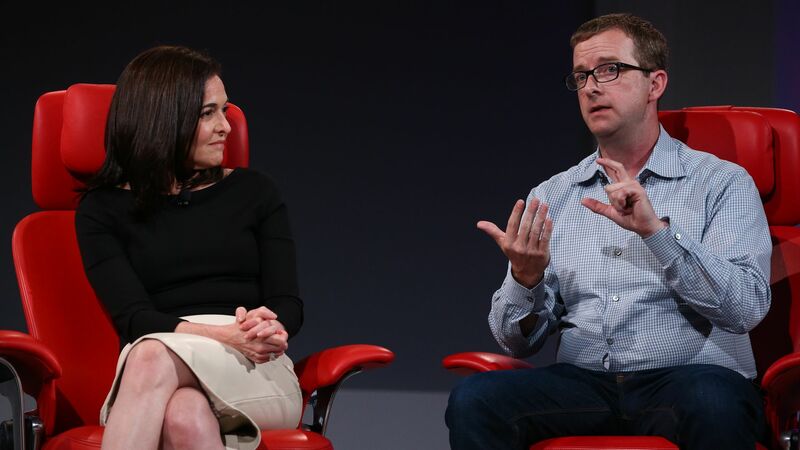 The Code Conference gave Facebook an opportunity to show that it is tackling its many problems head on — but the executives who preceded Facebook COO Sheryl Sandberg and CTO Mike Schroepfer on stage also had some valuable insights for the embattled tech giant. Why it matters: A lot of people on and off Capitol Hill still believe that Cambridge Analytica-style data hijacking is exactly what Facebook is optimized for. Facebook has learned how to take an effectively humble tone — but it has yet to persuade a skeptical world it's got integrity. The view from Redmond: Microsoft president Brad Smith talked about all the ways that his company's long antitrust battle, beginning in the late '90s, hurt the company in subsequent decades. Smith said the legal siege distracted the company's leaders, potentially causing the company to miss the rise of search and other big trends. Years later, the rules the government laid down for Microsoft hampered the company's efforts to compete with iOS and Android. Evan Spiegel, CEO of Snapchat, Facebook's rival social network, offered some insights of his own. While Facebook has been able to copy some of his company's products, Spiegel said the company hasn't managed to incorporate its values. Facebook's take: For their part, Sandberg and Schroepfer largely repeated past apologies and statements. A couple things stood out, though. When I asked her why Facebook, knowing about Cambridge Analytica, didn't flag the Trump team's efforts as problematic at the time, Sandberg said that the campaign didn't appear to have a suspicious amount of data on potential voters. "No, not really," Sandberg said. Ad sales fuel Facebook's hunger for user data. Asked whether Facebook would ever offer users a paid service as an alternative to its advertising model, Sandberg said: "We've looked at subscriptions and we will continue to look at them ... But the heart of the service is a free service." The bottom line: When Facebook CEO Mark Zuckerberg testified before Congress, he took a much more conciliatory stance than his predecessor, Bill Gates, did 20 years ago. But Facebook continues to face tough questions over why it didn't act sooner and how it can protect users going forward. Go deeper: Read my full story with more of their comments on Axios.com. "I cant speak to that. I'm not familiar with it." Why it matters: The person charged with overseeing U.S. small businesses seems unaware of a program designed to create more U.S. small businesses. In case you need a refresher, the rule provides temporary work permission for foreign nationals who have raised at least $250,000 from American investors to create new U.S. businesses, with extensions dependent on the startup demonstrating growth via metrics like new hiring, revenue and follow-on investment. It was launched in the waning days of the Obama administration, but has been opposed by the Department of Homeland Security under President Trump. A rift has opened between Democrats over a proposal to address consumer data privacy concerns — as a freshman congressman from Silicon Valley barrels ahead with the idea while some of his colleagues want him to slow down. Why it matters: Democrats would have the power to move ahead with privacy legislation if they win the House in November — but only if they settle their internal fights first. What we’re hearing: Some House Democrats are taking issue with Silicon Valley Rep. Ro Khanna’s approach to creating an Internet Bill of Rights that could govern, among other issues, how platforms like Facebook and Google handle consumer data. Khanna began circulating his plan both within and outside of Congress. Staffers for key representatives who specialize in tech policy suggest he got ahead of his colleagues and made it harder to move a bill forward. The bigger picture: As Europe's sweeping data protection laws take effect and consumer sensitivity to privacy concerns spikes after Facebook's Cambridge Analytica scandal, many lawmakers on both sides of the aisle want to be part of the privacy game. Read more from Axios's David McCabe. While a handful of electric scooter startups are duking it out on the streets (and sidewalks) of San Francisco, a different kind of scooter company is using its seven years of experience in the Bay Area to expand to Barcelona. Bird, Lime and others offer electrified versions of the kid's toy scooter — but Scoot's signature vehicle is more akin to a low-speed motorcycle. Sadly, for me as I try to explain this, the English language refers to both as scooters. Meanwhile, to further complicate things, Scoot is also adding a new kind of vehicle to its lineup: bicycles. 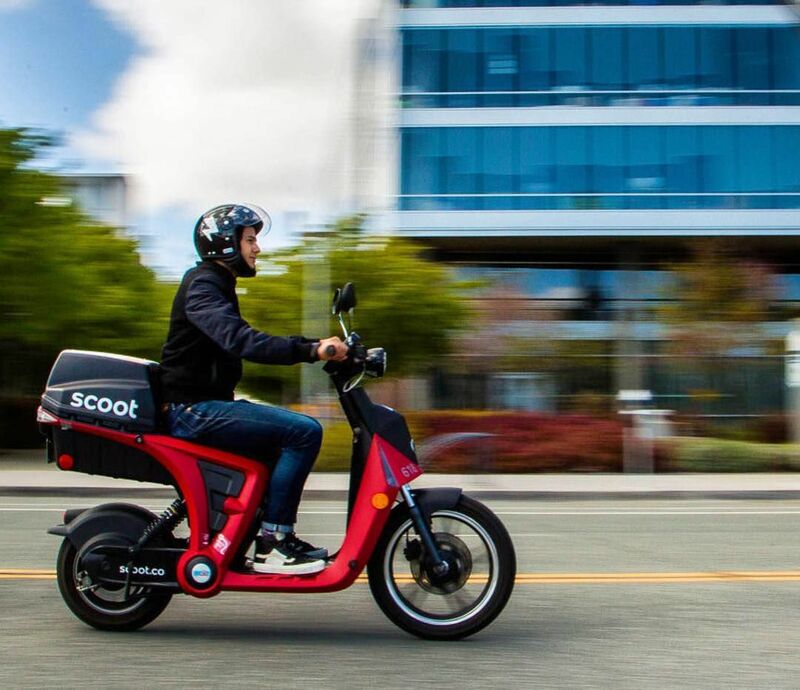 For now, however, Scoot’s bikes will only be available in Barcelona as San Francisco is still not issuing additional permits for bike-sharing companies (Uber-owned Jump is the only one to have official permission). Axios's Kia Kokalitcheva has the full story. Meanwhile: Bloomberg reports scooter firm Bird has raised $150 million at a $1 billion valuation. Code Conference continues in Rancho Palos Verdes, Calif. Speakers include Uber CEO Dara Khosrowshahi, Airbnb CEO Brian Chesky, former U.S. CTO Megan Smith, Spotify CEO Daniel Ek and Sen. Mark Warner, among many others. Augmented World Expo begins in Santa Clara, Calif.
3D printing company Stratasys said CEO Ilan Levin is leaving after less than two years in the job. Snap is working on a feature to let users log into other apps via their Snapchat credentials, according to TechCrunch. After being acquired by KKR, BMC Software could be headed for an acquisition spree, a source tells Axios' Dan Primack. Check out this working camera, made from Legos.